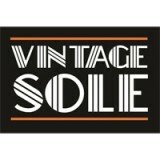 Vintage Sole – Swanston Street, Melbourne. A haven for all vintage loving folk, this store embraces the classics. From the 1960s vintage dress to the worn Levi’s denim jacket and the tassel handbag, find the perfect vintage gems in one place.